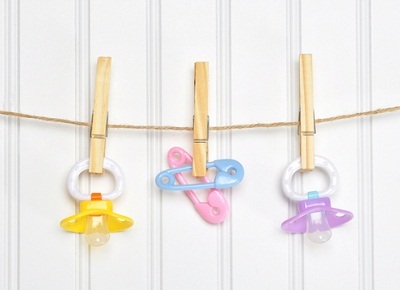 Themed baby shower ideas will start your party planning out the right way. Having a theme in place is one of the best ways to ensure a successful event. Clothesline baby showers are easy. Instead of baby clothes- try something new! Star light, star bright, the first star, I see tonight. I wish I may, I wish I might, have this wish, I wish tonight. Your party planning will be much easier and much smoother, once you have a theme to follow. The games/activities, party favors,decorations, and menu will all come from one, great, idea. Even if you’re not feeling organized, a well-thought-out theme will say the complete opposite to your guests. There are no hard and fast rules to choosing your theme Except, you must keep in mind; the tastes, likes and dislikes of your guest of honor. Especially, if you’re considering ideas that are unique or unusual. 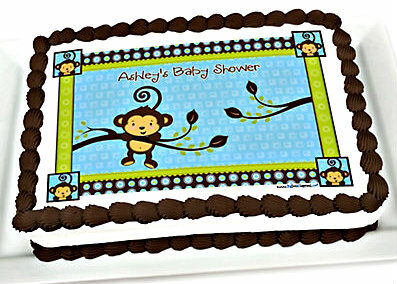 Do the parents-to-be (especially mom-to-be), want this as their Baby Shower party? Maybe. Always check with your guest of honor when you are in doubt about any big decisions. 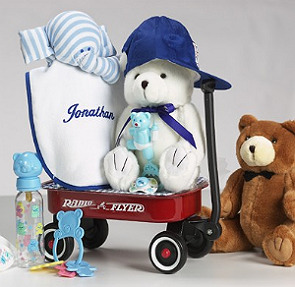 A traditional approach to themed baby shower ideas, is to ask mom and dad what their nursery decorating plans are. You can replicate the decorating plan, or choose something that compliments the nursery theme. For example: If mom and dad plan to have the moon and stars for their little ones room; Goodnight Moon (a classic children’s book) could be a great fit, or The Cow Jumped Over the Moon, is another example. You may want to check out some classic nursery rhymes, for a little creative inspiration. One of my favorites-the (perfect pair) pear theme. Mix with, fresh Magnolias, or mom’s favorite flowers. The flowers are the perfect compliment; and they’re really easy decorations, and platter garnishments. Noah’s Ark is still a popular and very cute choice for twins. Raggedy Ann and Andy are timeless, and make a cute twin theme as well. Ready to Pop! Use popcorn, or balloons to decorate. Tea Party– this a popular theme with lots of fun possibilities. Crafting Space- plan a party with her favorite craft activities, such as, scrapbooking, quilting, or jewelry making. Modern Mom- simply celebrate mom-to-be. Day at the Spa- host this at home, or inquire about a Party- Package with your local spa.